Why do we need Excel Dashboard Course? Excel Data: The Data in your Worksheet slowly gets bigger and messier. Working with math and calculations? How do you decide what metrics are relevant? How do you Check for the data adequacy? How to work on the Modeling of the data? Are you able to Prepare the right charts and visualizations every time? There is no solution to check the validity of the calculations and above-mentioned tasks. The whole cycle of these tasks come on the Analyst. Excel Dashboard course come as the Rescue Tool for people like me, the Analysts and the Business Organizations. Excel Dashboard is an amazing interactive tool that offers a Visual Representation of your Business Organization's real-time Performance. This course is perfect for the Beginners who are interested to learn about interactive Excel Dashboards from Videos. What are the Benefits of Excel Dashboard Lessons? Rishabh Pugalia, Founder, Yoda Learning Solutions/Excel Next has trained more than 9,000 professionals on Advanced Excel Ninja across 15+ cities since 2010. He has worked with KPMG (Assurance), Futures First (Proprietary Trading - Interest Rate Futures & Options) & J.P. Morgan (Debt Capital Markets - Investment Grade). He has 10.0+ yrs. of work experience including 5.5 yrs. in Training. He has co-authored a Technical Guide on how to use Excel for "Continuous Controls Monitoring" - it was published by the Institute of Chartered Accountants of India (ICAI). He has conducted 100s of LIVE workshop for corporate clients from diverse industries and vertical - Big Four Accounting firms, Power, Cement, Metals & Mining, FMCG, Telecom, BFSI, Investment Banking, Engineering, Automotive & Ancillaries, Chemical, Real Estate, IT & ITeS etc. His clientele pool includes prestigious names such as PwC, E&Y, ITC, Tata Sky, Tata Power, Birla Cements, Gulf Oil (Hinduja Group), J.M. Financials. 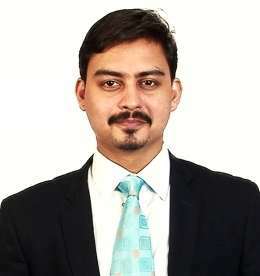 He is a Visiting Faculty, Financial Modeling, Great Lakes Institute of Management, Chennai. He likes playing Badminton, Bowling and 1st person shooter game - Counter Strike.